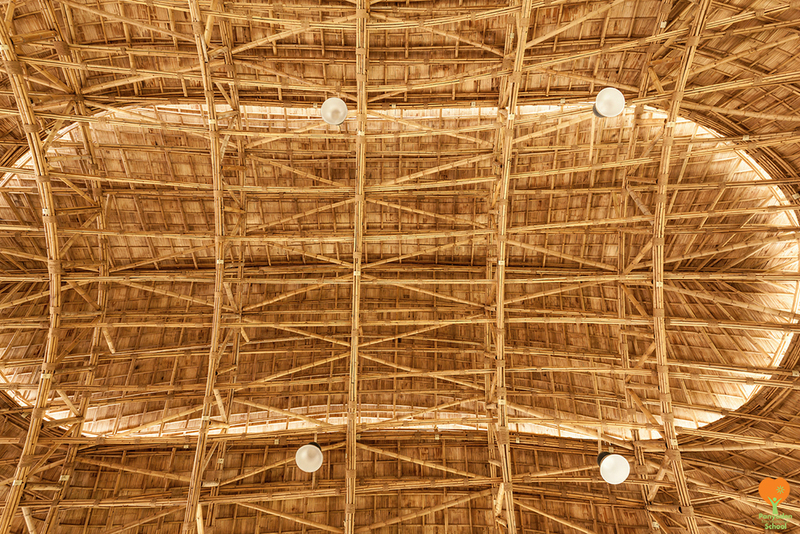 Panyaden’s breathtaking bamboo Sports Hall is featured in Inhabitat, a weblog ‘tracking the innovations in technology, practices and materials that are pushing architecture and home design towards a smarter and more sustainable future’. Designed and built by Chiangmai Life Construction, our bamboo Sports Hall has a modern organic design that draws inspiration from the lotus flower. The large multipurpose facility was built to withstand local natural forces including high-speed winds and earthquakes, and it boasts a zero-carbon footprint. Completed this year, the lotus-like organic shape is a nod to our Panyaden’s use of Buddhist values in its British-based academic curriculum. Its undulating shape also reflects the surrounding hilly topography. The 782-square-meter open-air building is supported with a series of arches and topped with three petal-like round roofs lifted up at the edges to let in natural ventilation and indirect light. Read the article here and other coverage by other architecture, art and design magazines like ArchDaily, Arch2o, Colossal and designbloom. The above photo was taken by Alberto San Cosi and shared by Chiangmai Life Construction. See more photos in Panyaden’s image gallery and our Facebook page album, From Concept to Design. This entry was posted in Featured Posts, Green School and tagged Arch20, ArchDaily, architecture, bamboo building, bamboo sports hall, design, InHabitat, organic, Panyaden, sustainable, zero-carbon footprint.